Addressing the gathering, Ravi Raj, Brand Head, Director, Sales & Support at NetRack said, "BISCI has always been a remarkable event for us as well as other vendors assisting IT industry. It provides great platform to exhibit our products and acts as a medium to connect with industry leaders and IT professionals." "We at NetRack are delighted to showcase iRack, a high quality and superior cooling rack cabinet for SME server Rooms and Hub Rooms application, Remote AV application, ware house / Industry application. This is an innovative product which requires less area and provides maximum server space for small setups. 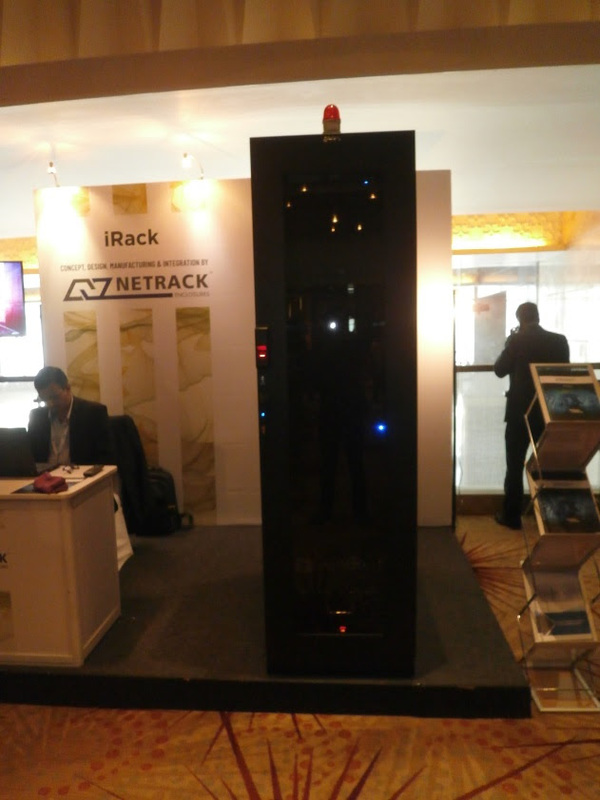 Considering the demand of intelligent infra capsules and utilizing advanced technology, we have manufactured iRack and meet the next level Application NetRack has iRack Blocks to ease the installation, Faster Deployment and increase cooling efficiency." NetRack manufactures its racks under stringent ISO 9001 - 2008 Manufacturing & Quality standards to ensure highest quality product. iRack comes with rack load capacity of 1000kgs and carefully configured to prevent thermal short circuits. iRack series are highly efficient and eco-friendly in nature. Thus, ensures energy - saving, promoting overall reduction in energy costs.